Sophisticated slumber starts with opulent bamboo sheet sets that cradle you in comfort. 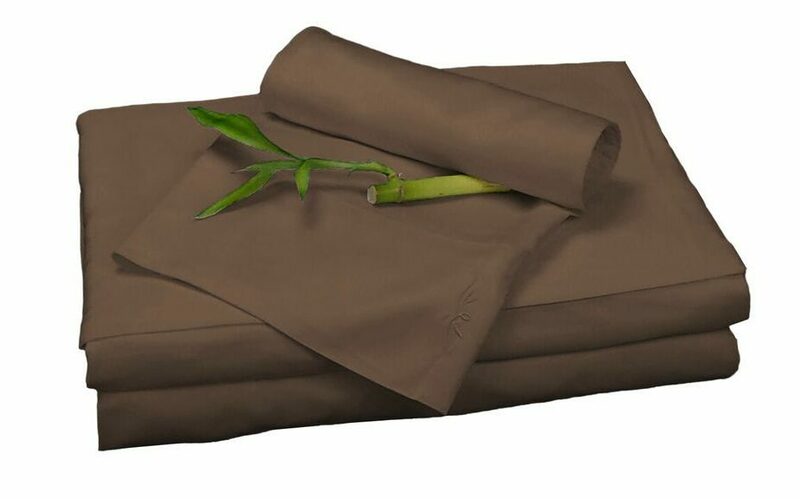 BedVoyage’s lavish bamboo sheets are soft to the touch with a smooth, silky feel. With its unique thermal regulating qualities, you can stay warm in the winter and cool in the summer. Perfect for individuals with health issues such as allergies, eczema, and people who suffer from night sweats. 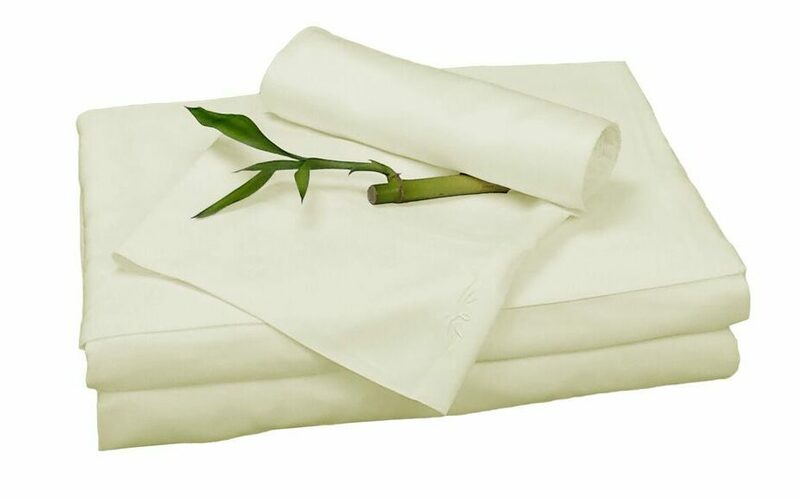 The eco-friendly bamboo is grown without harmful chemicals or pesticides and we do not treat our linens with formaldehyde to make them wrinkle resistant. BedVoyage bed sheet sets are 300 thread count, but feel like 1,000 thread count Pima cotton. Our bamboo linens get softer after washing, making them feel like silky-cashmere; the ultimate in comfort. A great day begins with a good night’s sleep, and the blissful luxury of BedVoyage bamboo linens can help you achieve just that! Our exceptionally soft and soothing fabrics adjust to your body’s temperature throughout the night, helping you to sleep better and wake refreshed. Our fibers are woven so round and fine that they are hypo-allergenic and feel sumptuous to the touch. With its unique thermal regulating qualities, you can stay warm in the winter and cool in the summer, and an added bonus is that they are room temperature when you get into bed, so no more chilly sheets! Perfect for individuals who suffer from health issues such as allergies, eczema, and night sweats. The eco-friendly bamboo is grown without harmful chemicals or pesticides and we do not treat our linens with formaldehyde to make them wrinkle resistant like the cotton industry does. BedVoyage bed sheets are 300 thread count, but feel like 1,000 thread count Pima cotton. 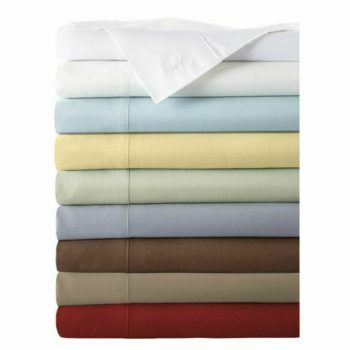 Our bamboo linens get softer after washing, making them feel like silky-cashmere; the ultimate in comfort! · TWIN set includes 1 flat sheet (72″ x 97″), 1 fitted sheet (with 18″ deep pockets with continuous elastic), 1 full size pillow (20″ x 30″). · TWIN XL set includes 1 flat sheet (71″ x 106″), 1 fitted sheet (39″ x 80″, with 18″ deep pockets with continuous elastic), 1 full size pillow (20″ x 30″). · FULL set includes 1 flat sheet (87″ x 103″), 1 fitted sheet (54″ x 75″, with 18″ deep pockets with continuous elastic), 2 full size pillow cases (20″ x 30″). · QUEEN set includes 1 flat sheet (97″ x 109″), 1 fitted sheet (60″ x 80″, with 18″ deep pockets with continuous elastic), 2 queen size pillow cases (21″ x 34″). · KING set includes 1 flat sheet (116″ x 109″), 1 fitted sheet (78″ x 80″, with 18″ deep pockets with continuous elastic for secure fit), 2 king size pillow cases (21″ x 40″). · CAL KING set includes 1 flat sheet (110″ x 113″), 1 fitted sheet (72″ x 84″, with 18″ deep pockets with continuous elastic for secure fit), 2 king size pillow cases (21″ x 40″). · SPLIT KING set includes 1 flat sheet (116″ x 109″), 2 fitted sheets (39″ x 80″, with 18″ deep pockets with continuous elastic for secure fit), 2 king size pillow cases (21″ x 40″). Bamboo sheet sets available in White, Ivory, Sage, Sky, Platinum, Champagne, Mocha, Butter and Cayenne red. 100% viscose from bamboo. Wash bamboo sheets in cold water, tumble dry low.